If you look at the Running tab above, you'll see that I've run a lot of races. Before I moved to DC (and subsequently got hurt), I used to race all the time. When I was living in New York, I was running almost every month, mostly to get my 9+1 credit for the NYC Marathon, but also because I was hooked. I've run six races since 2013. This year, aside from my time goals of running a sub-4 marathon and PRing the half-marathon, I want to race more. DC has so many great local races, of all distances, and I haven't run most of them. I'm also looking to travel more this year for races than I have lately. Here's a look at which races I'm planning to toe the line at this year! This race falls just 10 days after my 30th birthday. What better way to ring in my 30th than by running through Disney World with one of my very best friends? I love this race. If I run it, this would be my third time on the course. Right now, I might be traveling that week so I'm not sure if I can run it but I hope I get to because it is a great race and the crowd support is unbelievable. I ran one of these 5ks a few years ago. Pacers is a local running store that sponsors these races every Friday in April. I love the idea of really trying to push my 5k PR by racing every week! I usually work from home on Fridays so this wouldn't be too difficult to pull off. My uncle practically lives on this course and it's been on my radar for awhile. Alyssa and Tracy are running it this year which is really making me lean toward running! This 10k runs through my favorite neighborhood in DC. 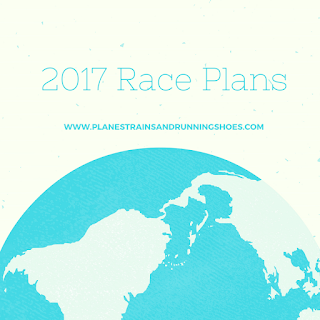 I've heard great things about it and want to add it to my list of local races to run in 2017! I have never been to Ottawa but The Pilot flies there all the time and loves it. The course is flat and looks pretty, so why not? I really want to run a spring marathon and there isn't anything else that really jumps out at me so I've settled on Ottawa! I was supposed to run this in 2016 and had to change my plans, bringing me to Philly. It was easier to defer to 2017 so that's what I did. Courtney ran this race last year and I was super impressed by the course and the swag! While I definitely won't be in half-marathon shape seven days after a marathon, I'm keeping the 10k in mind. Have you run any of them? What races are on your calendar this year?